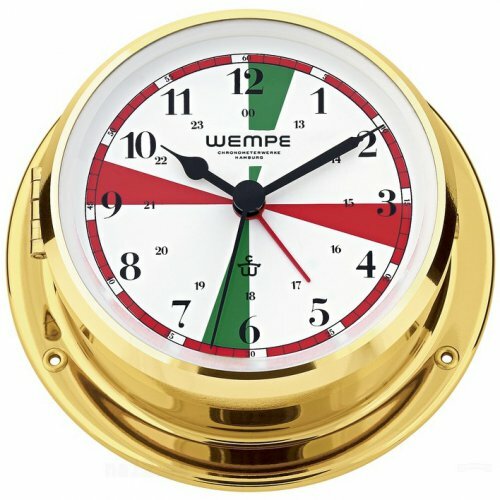 This modern WEMPE yacht clock is a product of the SKIFF Series, battery-powered by a precise quartz movement, and equipped with an alarm function. You may choose between a high-gloss polished colourlessly lacquered or chrome plated brass housing. Both models have an elegant appeal and are a precious accessory for every cabin. 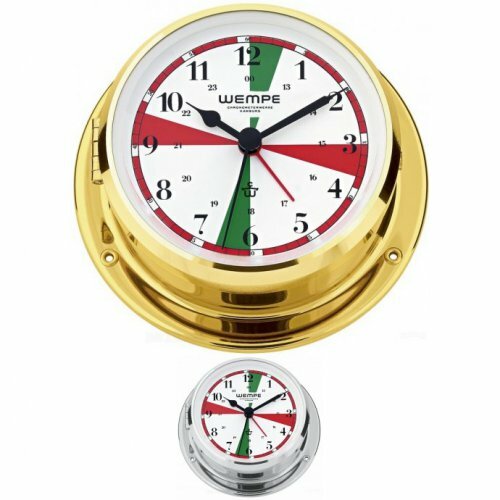 This 42mm high WEMPE yacht clock is 110mm in diameter and opens with a pushbutton so that battery exchanges can be quickly and easily performed. 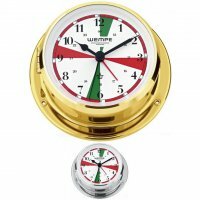 The 80mm white clock face has Arabic numerals and coloured radio sectors.